In any southern home, biscuits are a MUST for breakfast! There are so many ways to ‘fancy’ them up! And what’s fancier than Sweet Potato Pie Stuffed Biscuits?! Yum!!! Keeping with the theme, I thought that it was totally appropriate to make Sweet Potato Pie Stuffed Biscuits!! Sounds amazing, right?! I love homemade buttered biscuits, but let’s be honest, I have ZERO time to make them so I often buy pre-made biscuits. My family loves them just the same and they make my life a little easier! 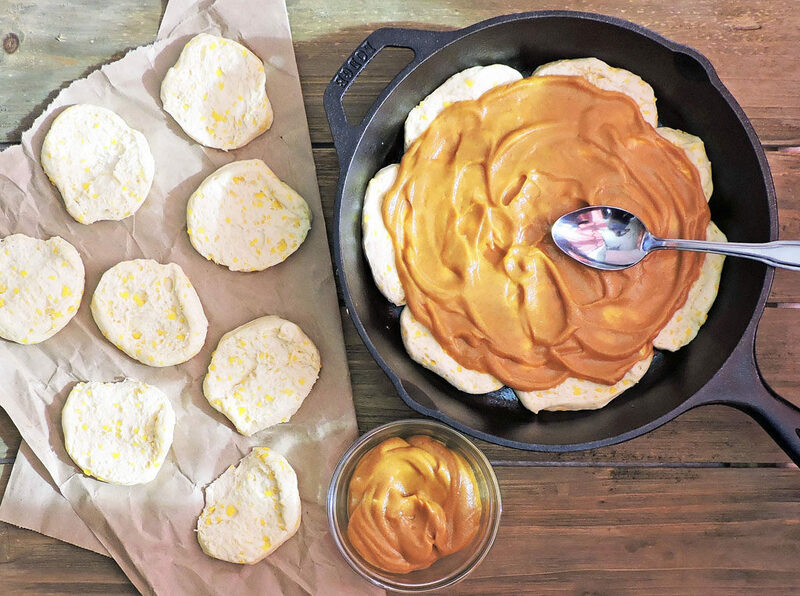 For this recipe, I chose to use my favorite brand of butter flavored biscuits and of course, my favorite cast iron skillet Lodge 10-1/4-Inch Pre-Seasoned Skillet ! I started by cutting the biscuits in half and laying them flat in my skillet. Then I applied a generous layer of sweet potato filling on top! After I placed a generous portion of sweet potato filling on the bottom layer, I arranged the tops of the biscuits on top and popped them into the oven. 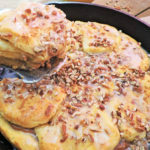 When they were done, I drizzled the biscuits with a sweet glaze and topped with pecans! Y’all…there were no words to describe the deliciousness that took place after I took my first bite! They were sooo good!! They didn’t last very long after my family got a hold of them! Lol! 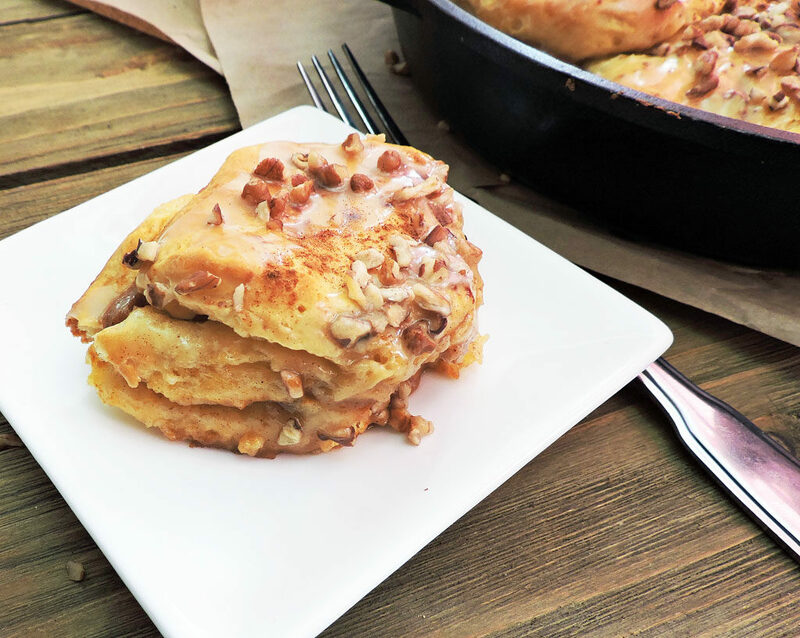 Now, this recipe is a bit on the indulgent side, so be sure to remember moderation! Enjoy! 1 tbsp milk any kind will do! Spray cast iron skillet with a non-stick cooking spray. 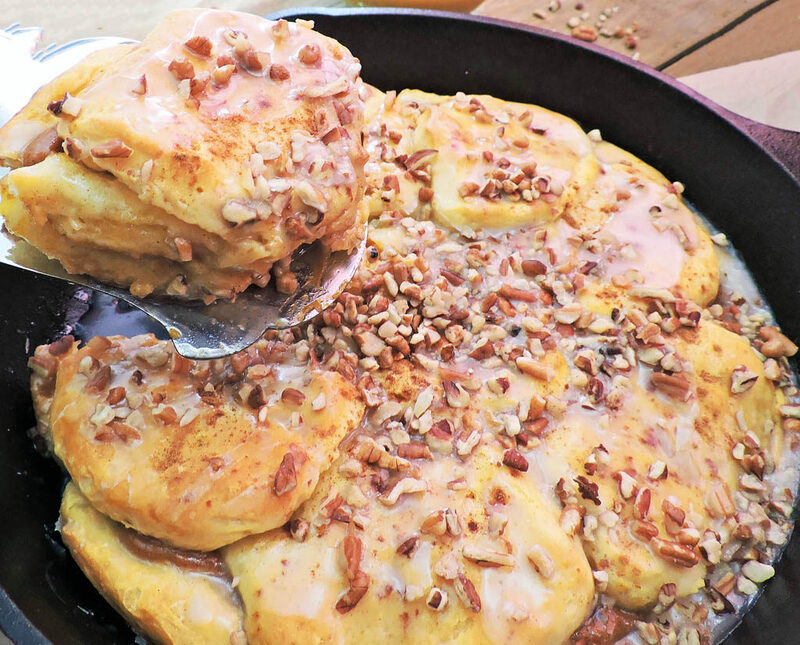 Cut biscuits in half and arrange in skillet. Spread biscuits to cover bottom of skillet. Set aside. In a medium bowl, combine mashed sweet potato, 1 tbsp of melted margarine, vanilla, cinnamon, all spice, honey, and milk. Beat with mixer until smooth or add to blender until smooth and creamy. Spread sweet potato mixture over layer of biscuits and place the tops of the biscuits on top. Place in oven and bake for about 23-25 minutes. Biscuits will be golden brown on top when done. In a small bowl combine powdered sugar, 1 tbsp of melted margarine, vanilla, and milk. Stir until consistency resembles a glaze. 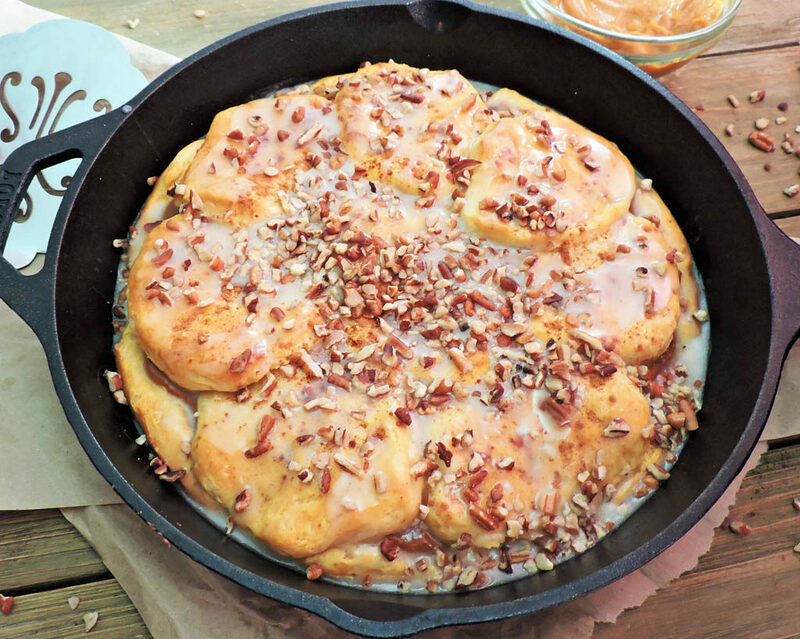 Spread glaze over biscuits and sprinkle with pecans. This is a great idea. I love biscuits and sweet potatoes. I’m not a huge fan of store bought canned biscuits – do you have any tips for making this recipe with from scratch biscuits? Thank you! I haven’t mastered making biscuits from scratch as of yet, but I’m working on it! Stay tuned!